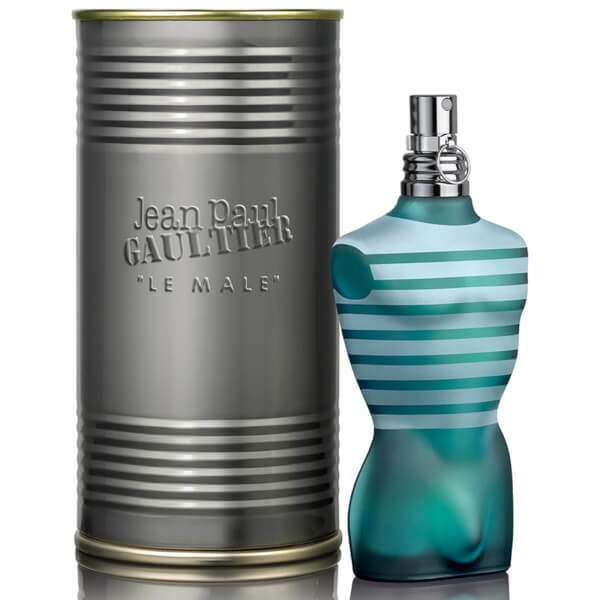 Masculine scent Le Male Eau de Toilette from Jean Paul Gaultier exudes strength, sensuality and freshness. Top notes of Mint and Bergamot are joined by heart notes of Lavender, Orange Blossom and Cinnamon, on a Sandalwood and Cedarwood base. A rich, woody fragrance presented in Jean Paul Gaultier’s iconic bodice-shaped bottle. – E.W.